Posted December 3, 2010 by roland valckenborg & filed under News, Tanzania. After giving the master class on Hugh Piggott wind turbines in Tanzania, it was recognized by the participants that not everybody is familiar with the English language. During the master class this was not a very big problem, because participants could help eachother translating English into Kiswahili, which is the national language of Tanzania. However, after the training all participants went back to their homes in very different parts of Tanzania. Although mobile phones are increasingly covering the country, it appears to be difficult for a lot of Tanzanian workshop artisans – also called ‘fundi’ – to help eachother on translating. Therefore it was decided to make an extra manual in the Kiswahili language. This Kiswahili manual is especially made for the ‘fundi’ of Tanzania. In daily life they are carpenter, welder, or electrotechnician. They have shown an interest in wind energy because renewable energies is a rapidly growing market. Moreover, some locations in Tanzania are without any doubt good locations for a wind turbine. 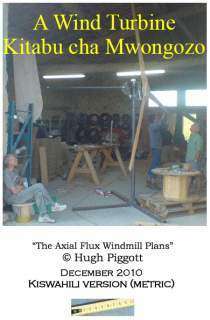 This manual will give them the opportunity to build a Hugh Piggott turbine themselves. 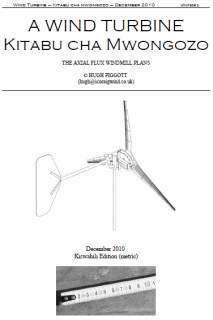 We are proudly presenting this first version of the famous Wind Turbine Recipe Book in the Kiswahili language. 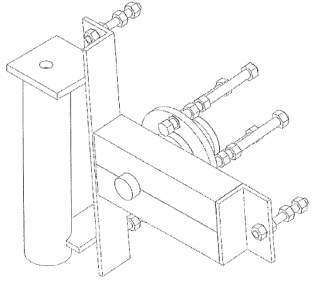 We thank mr. Hugh Piggott for giving us this possibility. For copies please contact us.